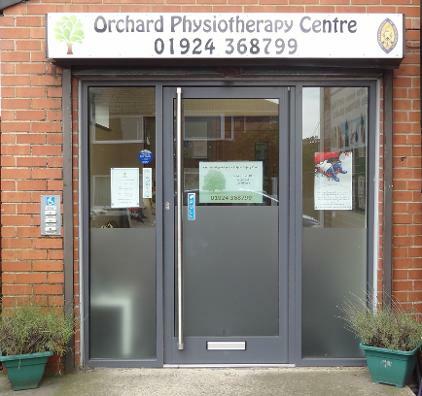 Located just 2 minutes drive from Junction 41 of the M1, we are Chartered and HCPC registered physiotherapists who offer a friendly and professional physiotherapy service. If you are looking for immediate affordable physiotherapy then please get in touch. We can offer one off appointments for assessment and treatment and also a course of treatment to get you back to work or sport as soon as possible. Our team is experienced in treating musculoskeletal injuries, and with over 30 years of experience, our aim is to get you right as quickly as possible. If we cannot help, we can assist in advising what the next step may be, such as a referral to a specialist or we can refer for private scans. We also have an in house Chiropody and Podiatry service provided by Dawn Wilkes who is HCPC registered. Dawn can be contacted on 01924 361418 or 07748 627678. We are very easy to find on the main Wrenthorpe Road. We are located next to Wrenthorpe Club and you can park in the car park for free. Speak to us - we are available on the phone 9am - 5pm Monday to Friday as well as Tuesday, Wednesday & Thursday evenings.